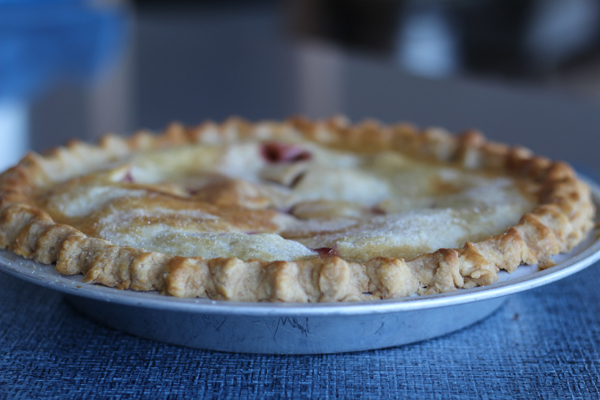 Use this recipe to hone your pie baking skills. 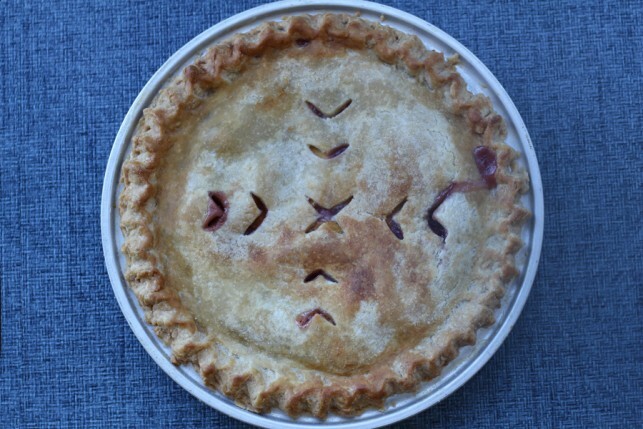 It comes from Judy Olson who has literally made thousands of pies in her lifetime. 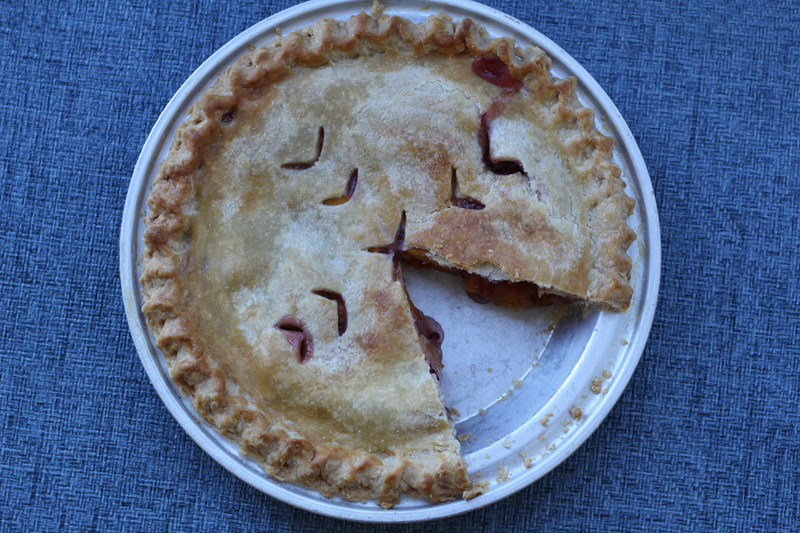 In the recipe she shares some great tips for pie perfection! For instance, she suggests using ceramic tiles to help evenly bake your bottom crust. It’s tough to nail that perfect crust but use great ingredients like Gold Medal Flour and delicious fruit and you are well on your way to a delightful dessert. This fantastic fruit pie won two big honors at the Minnesota State Fair. It won best overall pie out of the 112 entered. It also won runner-up honors in the Gold Medal Flour Best Pie Contest, a special competition calling for new recipes. Next up, look for what took first place in the same special contest. We’ll be posting that in the next few days! For Filling: Place peaches in colander. Sprinkle with two teaspoons sugar and let sit for 20 minutes to release juices. In a small bowl, mix 3/4 cup sugar, potato starch, peach gelatin, nutmeg, and salt. Set aside. In large mixing bowl, gently mix drained peaches with lemon juice and almond extract. Add sugar mixture and stir gently to coat peaches. Gently mix in fresh raspberries. Remove crust from refrigerator and bag. Brush with egg white and let dry (to help seal the crust). Add filling. Dot with butter. Roll out second pie crust and cover peaches. Trim and flute edges. Slice vents in top. Bake on in preheated oven for 20 minutes. Remove from oven. Brush top crust with remaining egg wash. Sprinkle with sugar. Cover edges of crust to prevent overbrowning. Bake 15 minutes more. Check if getting too brown. Cover whole pie with foil if needed. Bake another 15-20 minutes until juices bubble. Cool on cooling rack. *You can substitute frozen peaches if needed. Just be sure to thaw, drain and pat dry before using. Judy does not recommend using frozen raspberries in this pie. **Judy’s top baking tip is to preheat your oven for 20 minutes with unglazed ceramic tiles placed on the lowest oven rack. You bake the pie directly on them to more evenly bake the crust. Baking the pie on a pizza stone, as a substitute, may accomplish the same goal. -Recipe (adapted) from Judy, 2015 Minnesota State Fair.